Make light objects move and levitate with this microfine thread! This is a 75 inch length of unstripped Invisible Thread, enough to do hundreds of effects. The thread comes unstripped, or coiled, so that you can see it. 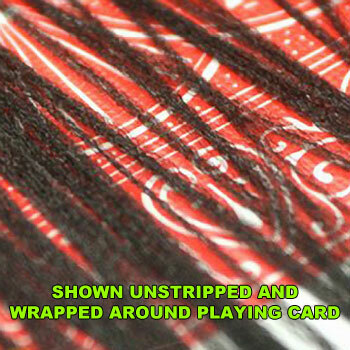 More than a dozen microfine strands are twisted together into a single strand of unstripped thread. Each single strand is very, very fine- nearly invisible- and best kept in the coil until you are ready to use it. To use the thread, simply remove a single strand of thread in your desired length from the thread coil, which comes wrapped around a small piece of cardstock. This is best done using a sheet of white paper as a background, so you can see the thread. 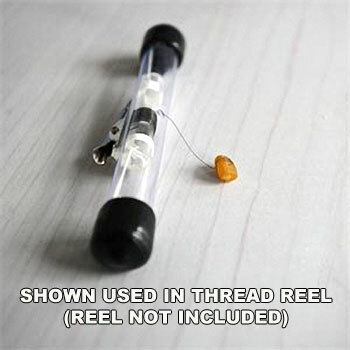 The video below on this page demonstrates how to pull out a single strand from the thread. This item does not come with instructions. 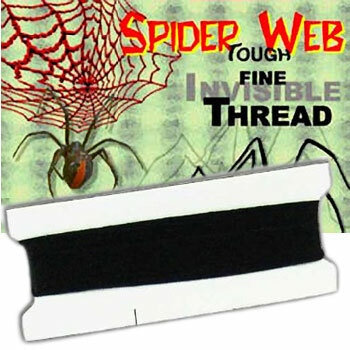 This is just a pack of invisible thread, for those magicians who want to buy just the thread. 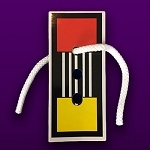 For tricks instructions, please see Floating Bill Kit which includes tricks with Invisible Thread. 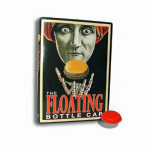 If you want a trick that uses this thread, PLUS gives instruction on DVD, please see Floating Bottle Cap With DVD. 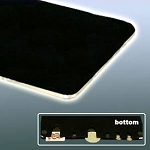 For a more in-depth demonstration of the process of stripping invisible thread, please order the Floating Bill Kit or the Floating Bottle Cap With DVD. 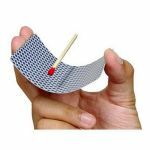 The Floating Bill Kit includes a booklet that explains how to correctly and easily strip invisible thread, plus it comes with a supply of thread and magician's wax, as well as instructions for making a dollar bill float and a pencil move across a table. 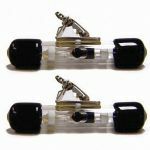 The Floating Bottle Cap With DVD includes a DVD that shows how to correctly and easily strip invisible thread, comes with a supply of thread and magician's wax, as well as instructions for making the included bottle cap float, and more. 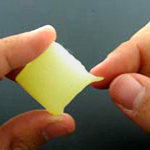 After you learn how to strip thread, you can purchase this Invisible Thread as a refill for these tricks. 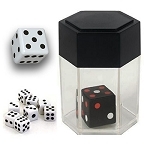 Ultility items are things like replacement rubber bands, spare coins, extra balls and other items that are not tricks in themselves, but supplies that are useful to magicians. Thread only- you supply the trick or routine. Thread must be STRIPPED before use. See video on this page for instructions. Let me make a few things clear. What you are getting is a length of unstripped thread. This is NOT thread on a reel. This is NOT elastic thread. You WILL need to know how to strip thread in order to use it. Stripping the thread involves separating the strands that make up the trhead. 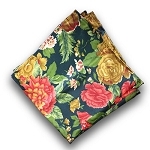 All that said, if unstripped thread is what you need, this is what you are looking for. Why would you need unstripped thread? Well, you use it in a lot of different ways. Fix it with a bit of wax to a playing card, put the card on top of the deck, and make the card move off the deck by itself. That is a great effect especially if the card was previously chosen by them. Read the book on invisible thread for lots of ideas, more than I can put here. There are a ton of uses for this stuff. 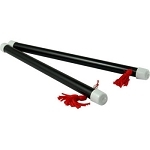 Most of them involve floating something but you can also use this to pull or move things as well. Think Haunted Straw On Table. The thread is incredibly hard to see, but you do have to be aware of the lighting in some situations. The thread is harder to break than you''d expect. Like anything this takes some practice. I secretly set the thread somewhere and then come back later. Like hang it in a doorway or something. Then I can casually pick up the end of the thread and use it to float a dollar bill, etc. If I forget to come back no one will see it and be the wiser. Save yourself some money. 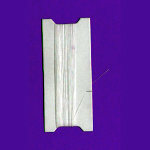 This can be used to repair the Floating Match On Card if you break the thread. It is also a refill for the Floating Bill trick. Buy this item - get 5 Rewards Points!